This section includes a quick start guide to HaloCode. 1. 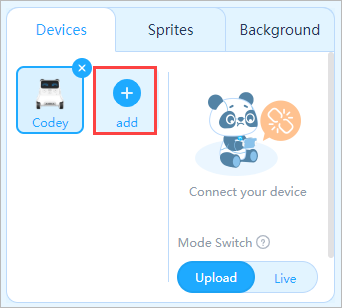 Under "Devices", click "+" to add device. 2. 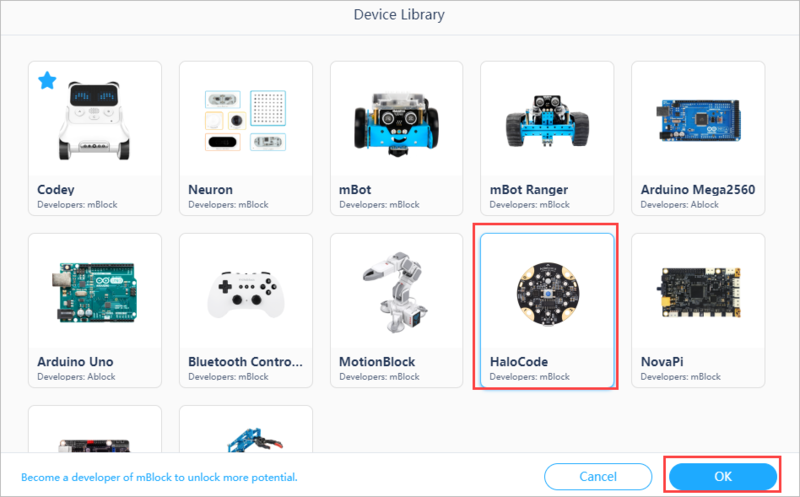 From the pop-up Device Library page, select "HaloCode" and click "OK". 3. Use a micro-USB cable to connect your HaloCode to a USB port of your computer. Note: the package contents do not include a micro-USB cable. 4. 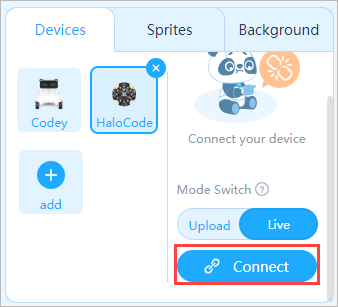 Under "Devices", choose "HaloCode", and click "Connect". 5. 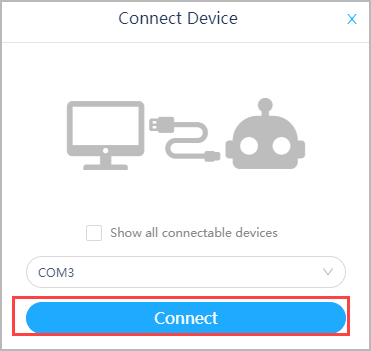 The Device Connection window will pop up. The serial port of HaloCode will automatically be detected. Please click "Connect". Let&apos;s start with a simple project. When we shake HaloCode, the LED ring will light up and then go off. 1. Drag an Events block when HaloCode is shaking to the Scripts area. 2. 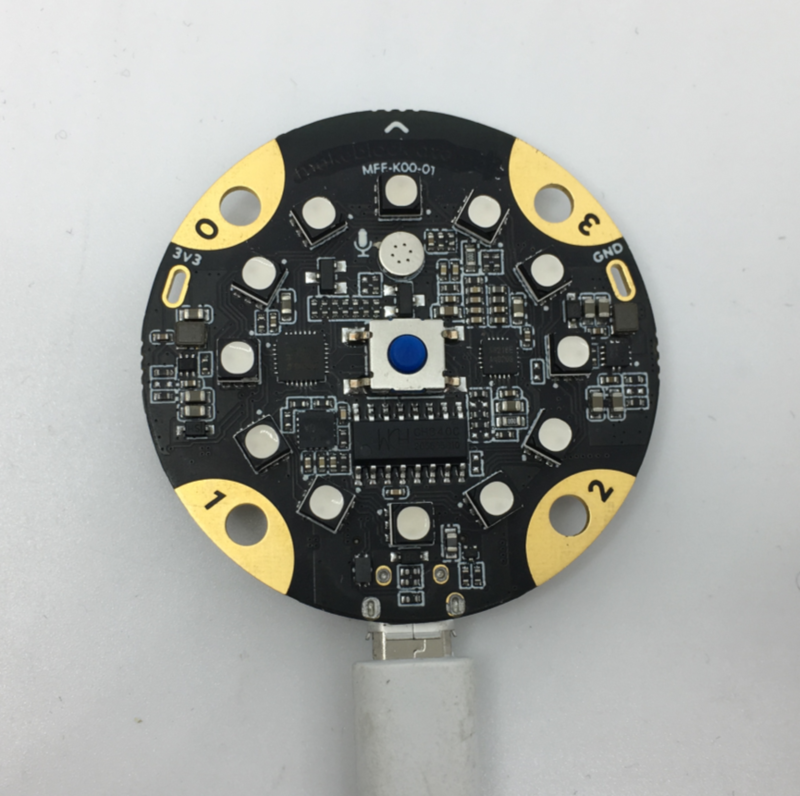 Add a Lighting block show () to control the LED ring of HaloCode. 3. Add a Control block wait () seconds, and a Lighting block light off all the LEDs to make the LED ring go off after 1 second. 4. 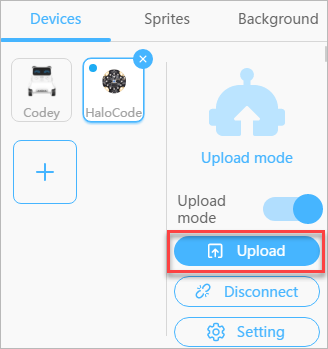 Click "Upload" to upload the program to HaloCode.